Romanian Brass Band Fanfare Ciocarlia Covers I Am A Gummy Bear (The Gummy Bear Song) - Gummybear International Inc.
German record label Asphalt Tango Records recently released Balkan Brass Battle, a musical battle between two of Europe’s leading Gipsy brass bands – Boban Markovic Orkestar and Fanfare Ciocarlia. The result is a 13 track album which includes original compositions as well as covers of famous songs, one of which is I Am A Gummy Bear (The Gummy Bear Song), done in the traditional Balkan Brass style. 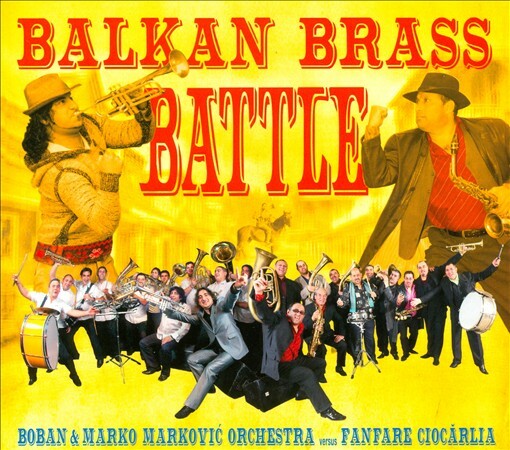 Balkan Brass Battle album on Amazon.com.